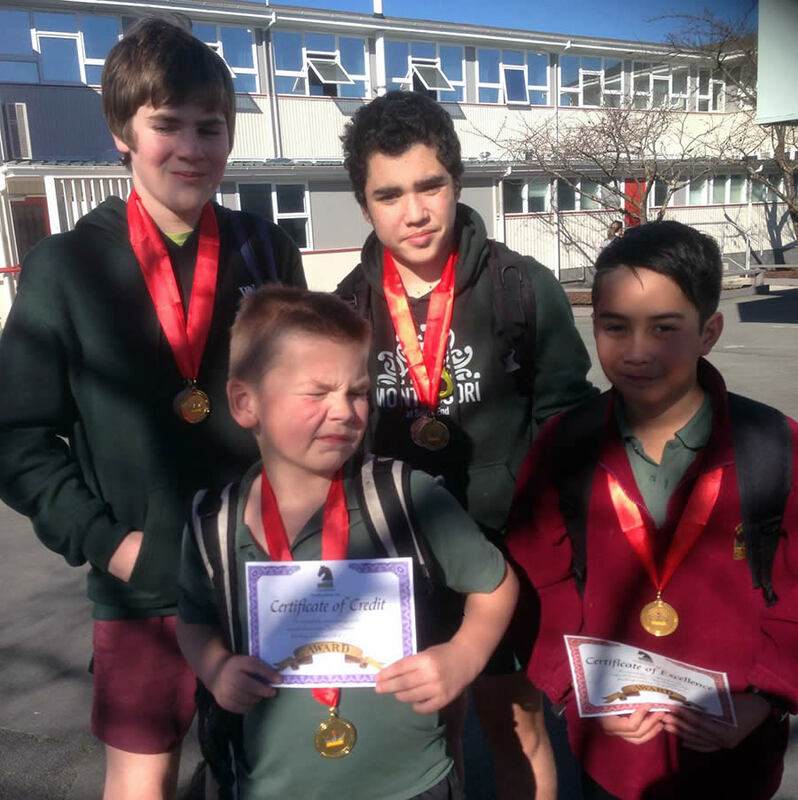 Four South End students headed off recently to the ChessPower regional competition in Masterton and did a superb job in representing the school. The team was first overall in the intermediate grade, and 1st overall in the regionals, which won them the right to head to the nationals. They’ll be Auckland-bound in the middle of September to compete against schools from around the nation! Individually, Zac Brown gained a silver medal and a higher excellence certificate for coming 2nd overall, and Samson Dell took the bronze and an excellence certificate for 3rd overall. Joseph Teofilio garnered an excellence certificate, and young Connor Pogson, junior-aged but playing at intermediate level, claimed a credit certificate. A outstanding effort by all four, and with two students from South End mainstream and two from the Montessori stream, another great example of teamwork and our goal of “two paths towards a single goal”. Kudos to the boys, and good luck for the nationals!